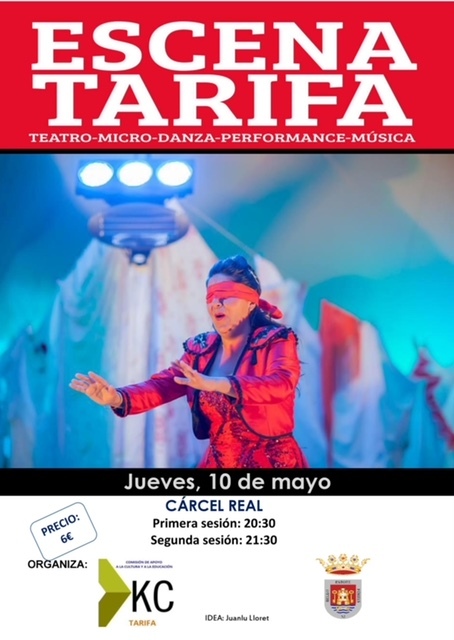 Escena Tarifa surprises us this month with a musical and with the return of ‘La Pili’. The musical show will be offered at the Royal Prison this Thursday, May 10. Escena Tarifa returns to make an appointment with the theater of proximity thanks to ‘Aluné’, a musical show in which the singer and actress ‘La Pili’ will perform the best soundtracks of Spanish cinema. This month the two works of microteatro are replaced by this work that lasts 60 minutes. ‘Aluné’ emphasizes that great stories, in movies or in life, need a great soundtrack. Songs that make you laugh, cry and feel, because sometimes reality trumps fiction. Viewers can enjoy themes that have marked the story, since ‘La Pili’, accompanied by Ana Paz and M. Ángel Martín, will represent songs that are part of emblematic films of Spanish cinematography, from the 60s to today. This proposal is based on proximity and its objective is to offer a new way of enjoying music, since it is not only heard, but also felt, breathed and lived. ‘La Pili’, an artist from Malaga has studied at the music conservatory in Marbella and has graduated from the ESAD of Malaga. He has been a member of Acuario since 2006 and is currently a member of the Black Mirror, participating with the shows ‘La Cabra’ and ‘Òscar, el niño dormido’, his latest release. It has been consecrated as one of the most emblematic voices of the Malaga cultural scene.